When choosing the best ice cream scoop, be sure to look for a sturdy model that's ergonomically designed for ease of use and the effortless scooping and releasing of large, perfectly rounded scoops of frozen ice cream. 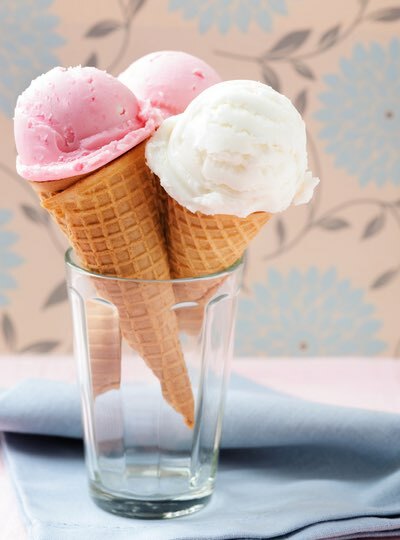 Today's manufactured scoops with their ergonomic shapes make filling a waffle cone or sundae dish an easy task. They are designed to make consistently round scoops from rock-hard frozen ices and many have insulated handles for comfortable serving without freezing your fingers. But, poorly designed scoops aren't any better than using a common tablespoon. For years, I used one of those silvery metal, liquid-filled scoops thinking it was great. However, even when it was warmed under hot water, its blunt edge scarcely made a dent in some rock-hard ice creams. You really had to twist and push down hard to get even a small amount of ice cream. Sometimes, when frustrated and in a hurry, I've had to place the frozen container in the microwave oven for a minute or so to help soften the ice cream. Then, it was often too soft. It was frustrating! However, I finally threw it away and got a new one that's surprisingly similar to the old fashioned scoop that Grandma once used. What a difference a better product design can make! You'll discover when making homemade ice cream that it tends to freeze harder than the store-bought variety, so having the proper serving tool makes all the difference. 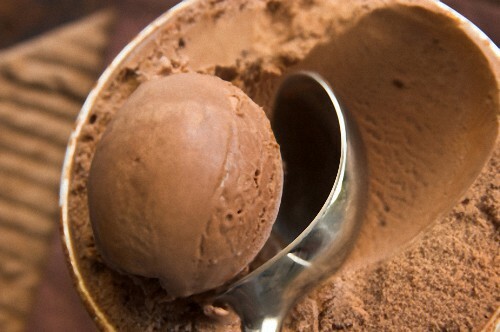 There's nothing more enticing than perfectly formed balls of ice cream in a homemade cone or on a dainty serving dish. I found that a sturdy, no nonsense metal scoop is perfect for serving homemade frozen desserts. And, it's also great for scooping mashed potatoes, salads, and other foods suitable for scooping. Watch this brief YouTube video that demonstrates how effortlessly the popular Midnight Scoop with its unique ergonomic handle can scoop perfect balls from frozen, rock-hard ice cream containers. No mechanical gimmicks like a button or lever to push. The ice cream curls up perfectly when you scoop it. This style cuts through ice cream smoothly and effortlessly. Stainless steel means you can chuck it in the dishwasher. It's built solid and very, very strong. It will last for years and years. You might be able to find the best ice cream scoop at select stores in your area, but you can be certain to get the Midnight Scoop online from Amazon. It's not the cheapest model available, but it is the best. Order yours today. It was back in 1878 that William Clewell of Reading, Pennsylvania invented the first utensil to enable fountain operators to add a measured amount of ice cream to soda glasses more efficiently. Untold numbers of soda jerks and ice cream lovers have since used metal scoops based on his classic, non-mechanical design to pry rock-hard ice cream from its container.